4 oz Squeeze Bottle. This is the glue we use here. It sets slowly enough to allow plenty of time to fit mitres and joints perfectly. 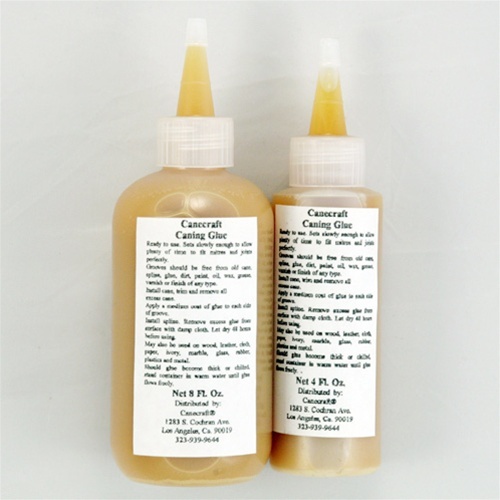 Brown fish glue repackaged by Cane & Basket Supply in toeasy to use plastic squeeze bottles.